In the evening of Thursday, September 15, 2016 we received a report of a case of indiscriminate and mass arrest of eleven (11) persons, comprising of nine (9) males and two (2) females at No. 5 Udi Street in Uyo, Akwa Ibom State by officers of the Nigeria Police Force, A Division, Uyo. The facts available to us indicate that a certain aged woman was found within the prescient of No. 5 Udi Street in Uyo at about 2 am on Wednesday, September 14, 2016 by a private security man working at the apartment. According to reports, the said woman was a stranger and was not known to the security man before then. Upon being confronted, the strange woman reportedly explained to the security man that she came to visit her daughter who is a tenant at the apartment. Queried on what she was doing outside at such odd hour, the woman reportedly told the security man that she came outside to urinate. Dissatisfied with her explanation, the security man and about two others reportedly accused her of being a witch; they reportedly harassed and molested the woman. The woman is said to be recuperating at the hospital. Upon returning to the apartment in the morning, the daughter of the woman who is an officer of the Nigerian Security and Civil Defence Corps (NSCDS) was briefed about the incident. She went to the police and reported the matter. The following day on Thursday, September 15, 2016 at about 12 pm, a team of armed policemen stormed the apartment and arrested every person they could lay their hands on and took them to A Division, Uyo. In all, eleven (11) persons were arrested. Among the persons arrested are five (5) staff of Motion Studios, a private music/movie recording company situated at the apartment. 1. Kate Augustine (female, 17); 2. Armstrong James (male, 17); 3. Joseph Bassey (male, 23); 4. Elvis Johnson (male, 23) and 5. Ubong Ime (male, 19). None of the above five (5) persons is living at No. 5 Udi Street, Uyo where the incident took place and none was present during the incident. Business at the Motion Studios where they all work closes at about 6 pmevery day. At the police station, the eleven (11) persons were kept for hours and asked by the Investigation Police Officer (IPO), one ‘Idoko’, to “cooperate” and pay money to secure their bail. We advised the staff of Motion Studios who contacted us over the matter not to “cooperate” as illegally demanded. The Akwa Ibom State Commissioner of Police, CP. Murtala Usman was contacted at about 7:20 pm on Thursday, September 15, 2016 and urged to intervene in the matter. The Commissioner upon being briefed over the matter directed that the five (5) staff of Motion Studios be released immediately. Accordingly, they were freed and asked by the IPO to return the following morning. We understand that the IPO and his immediate bosses at the A Division in Uyo were visibly angry over the superior order from the Commissioner of Police and the decision of the staff of Motion Studios to reach out to a lawyer who is the Convener of Coalition of Human Rights Defenders (COHRD). The IPO pointedly declared in their presence that they may have won temporarily but that their release was not the end of the matter since they decided to involved a lawyer instead of “cooperating” with him. Shockingly, when the staff of Motion Studios reported at the station in the morning of Friday, September 16, 2016 the IPO told them that they were going to be taken to court to be arraigned for “Conspiracy” and “Attempted Murder” of the aged woman. All our efforts to reach out to the Commissioner of Police to stop the unwarranted arraignment proved abortive. Thus, all the eleven (11) persons were hurriedly taken before a Chief Magistrate Court in Uyo on a holding charge of “Conspiracy” and “Attempted Murder”. They were all remanded in Prison Custody and denied bail by the court. It should be noted that the Supreme Court of Nigeria has ruled that the practice of holding charge at the Magistrate Court is unconstitutional and has no place in our criminal jurisprudence. There is at present no statutory provision under the Criminal Procedure Law of Akwa Ibom State that empowers a Magistrate to remand accused persons in a charge like Attempted Murder which is outside its jurisdiction. It should also be noted that the police had not conducted any sensible investigation into the alleged assault and molestation of the woman before they hurriedly arraigned the eleven (11) persons. No identification parade was conducted and no reasonable steps were taken to identify the real culprits who are said to be currently at large. All that the Nigeria Police Force in the 21st century could do was to invade the crime scene in a commando style and effect a mass and indiscriminate arrest of every unlucky person that they could lay their hands on and charge them to court for refusing to “cooperate”. To show the unprofessional and oppressive manner the police acted in this case, the police in a desperate effort to shield the woman’s daughter who is working with a sister agency, the NSCDC claimed that they received information about the incident through a radio message and that there is no complainant. We call on the police to tell Nigerians who called them, the date and time they received the “radio message” and how they came to the conclusion that each of the eleven (11) persons they arrested, particularly the five (5) staff of Motion Studios were the persons who molested the aged woman?. The police should exaplain to the public how they came about the charge of “Conspiracy” and “Attempted Murder”? Who conspired with who and who attempted to murder who? 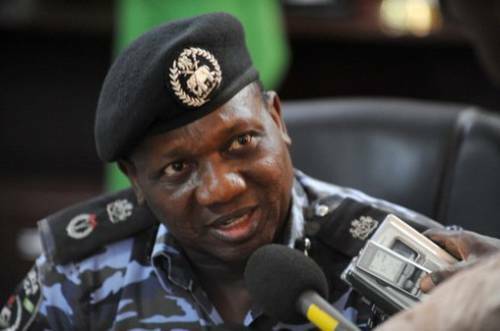 It is indeed an unprecedented record that our own Nigeria Police Force was able to conclude investigation into an alleged case of “attempted murder” within 48 hours of the alleged crime. Nobody is deceived by this despicable and condemnable show of force. Nigerians are too familiar with the police and their modus operandi to be cajoled. It is a sad commentary that at a time the federal government is seeking ways to decongest our prisons, innocent and poor Nigerians have been sent to the Uyo Prisons over what they know nothing about simply because we have a police force that has no respect for human rights and a complacent judicial system. We at COHRD condemn in the strongest terms the actions of the police against these innocent citizens. We urge the Akwa Ibom State Commissioner of Police to withdraw the trump-up charge against the innocent citizens and go after those who allegedly assaulted the aged woman. We call on the Inspector General of Police to look into this matter and bring any officer found to have acted criminally, illegally and or in an unprofessional manner to justice. While we empathise with the aged woman and wish her a smooth recuperation, we totally reject the unjustifiable actions taken against those who from all indications are innocent of the crime. The police cannot use the court as a shield to cover their wrongful actions in this case. The police should not be seen to be using oppressive and illegal means to fight crime. Injury to one, is injury to all.